Think we’ll have artifical intelligence by 2029? Ray Kurzweil does. He is simultaneously idolized and infamous for saying so. And now he will put his ideas to the test. 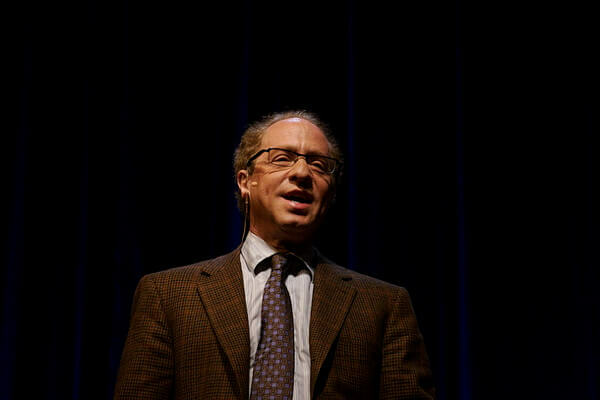 On Friday, Kurzweil announced he’s accepted a position with technology giant Google as Director of Engineering. Like all things exponential, the new relationship is on the fast track—he starts Monday. It’s not surprising Google is interested in Kurzweil’s services. A few years back, Google cofounder Larry Page told Esquire, “We have some people at Google who are trying to build artificial intelligence, and to do it at a large scale…I don’t think it’s that far off.” In his latest book, How to Create a Mind, Kurzweil says humans can reverse engineer the brain to create artificial intelligence—and similarly says we’ll do it much sooner than anyone thinks. A good match, no? Kurzweil specializes in machine learning and language processing and will focus on new projects at Google involving both. Some of those skills may help further hone Google’s learning search algorithm, language translation application, and speech recognition software. But Google has plenty of talent already well versed in those technologies and the firm is known to invest in more ambitious undertakings. The special projects team, Google X, is working on self-driving cars, augmented-reality glasses, and a slew of projects outside the public’s purview. Kurzweil says he will work on AI, and one imagines that may include an attempt to reverse engineer the brain. It’s a bold objective but not unprecedented. We’ve often written here at Singularity Hub about other similar undertakings. These include Blue Brain Project, IBM SyNAPSE, and Spaun. Fascinating projects, worthy of attention one and all. But imagine what’s possible with Google’s formidable resources—dollars and talent—behind one of AI’s best known and most vocal advocates. Might such a collaboration bump the quest for artificial intelligence up a few years? It can’t hurt.